This monthly gathering is for anyone who wishes to gather together with like-minded individuals to encourage and uplift one another. We will have a time of conversation, sharing our experiences, struggles, and victories, a time of meditation and grounding, followed by a time of sharing a healing, nourishing energy modality with one another. We are currently going through a Chakra series! 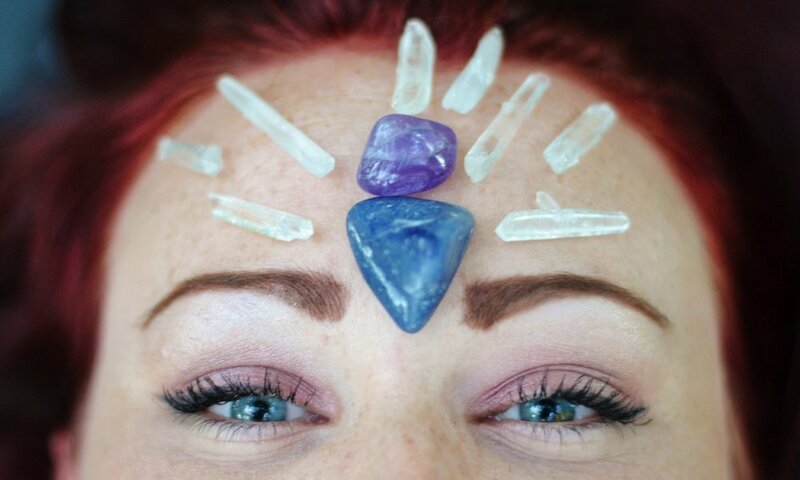 Each month we will be focusing on a different chakra. Meditating, doing energy work, enjoying a time of discussion and community. This gathering is open to anyone who wishes to join in. It is being led by myself, a Reiki Master Teacher, but is not a Reiki-specific gathering, nor a certified therapist-specific gathering. All are welcome. If you'd like to bring anything - crystals, essential oils, tarot cards, etc, please do! I cannot guarantee we will get to everything, but we want to be open to the direction the group as a whole wants to go in. We do recommend you dress comfortably, bring a bottle of water, and a notebook if you want to take any notes or jot down book recommendations/anything else that may be mentioned during a gathering of brilliant and beautiful souls. This is a free gathering designed to bring our community together and encourage one another. However, rent is not free, so any donations are appreciated but not expected (standard for such an event is $5-10). Posted in Support Group, FREE!